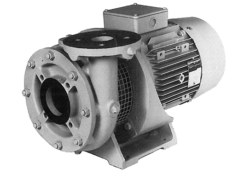 VS4 V Series - Sulphur | Amarinth Manufacturing | Pump's for general industrial, chemical and petrochemical applications. 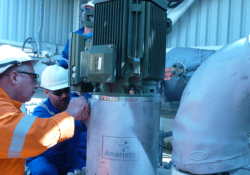 Amarinth API 610 VS4 11th edition Sulphur vertical sump pumps are designed and manufactured for a number of molten sulphur applications including production, transfer, / storage, loading and unloading. 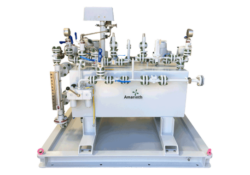 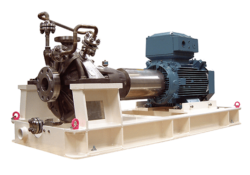 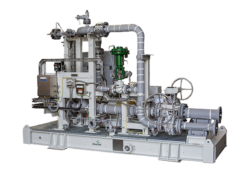 The pumps are typically found in the utility areas of oil & gas production and refineries, though they can be used for other applications. 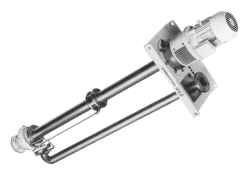 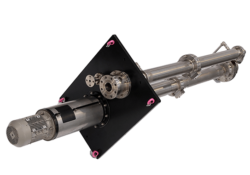 Each pump is designed to fit sump depths of up to 6.0m as standard, although bespoke designs up to 10m have been designed, manufactured and supplied. 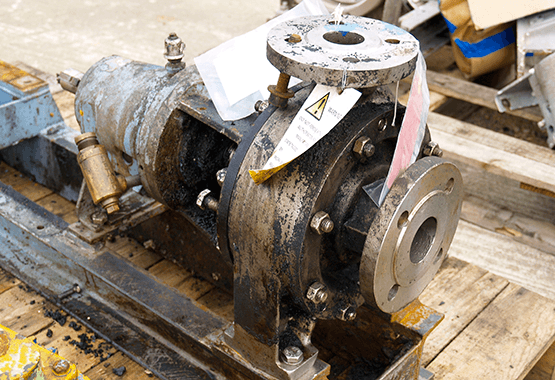 Sulphur pumps are independently verified, fully CE compliant including ATEX. 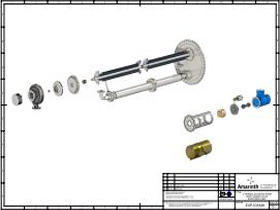 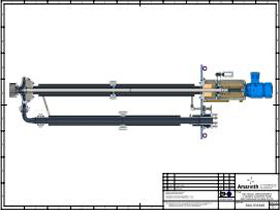 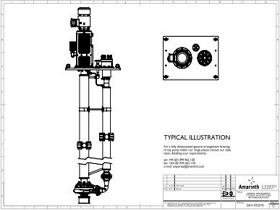 Using modern computer aided design software the pumps are designed as a heavy duty, minimal wear, long life pump. 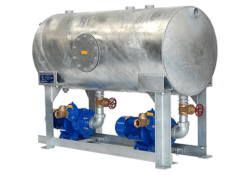 Conceived as a modular design, with a number of options available, ensures full compliance with a customer's exact requirements and specifications. 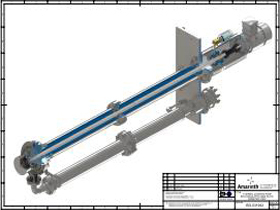 Finite element analysis is extensively used to reduce resonance and vibration. 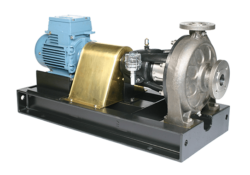 Particular attention has been focused on reducing maintenance times for these pumps which is inherently regularly required for this duty. 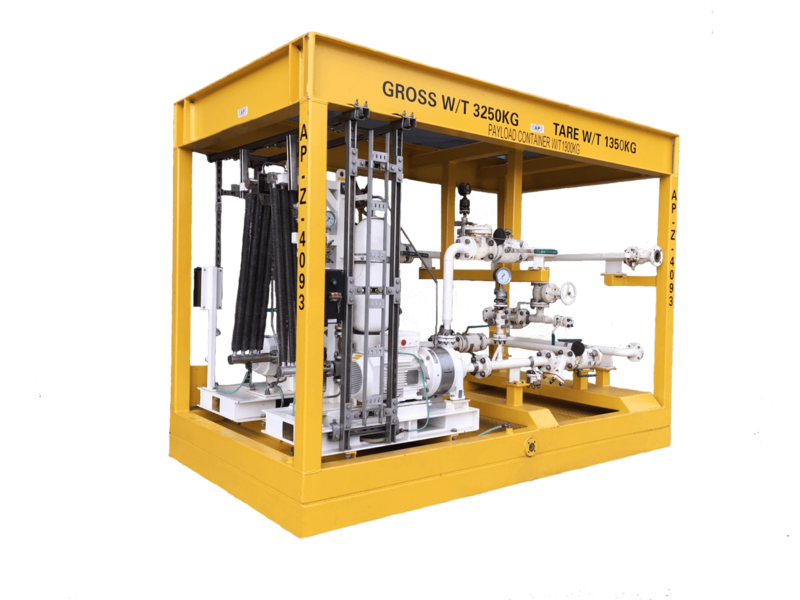 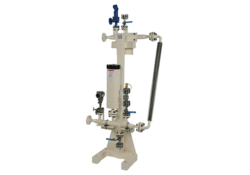 Our unique innovative steam jacket "jumper" system is one of the features which has been created to speed up disassembly and reassembly. 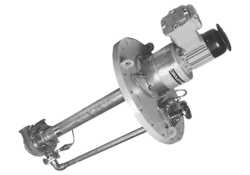 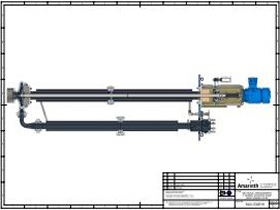 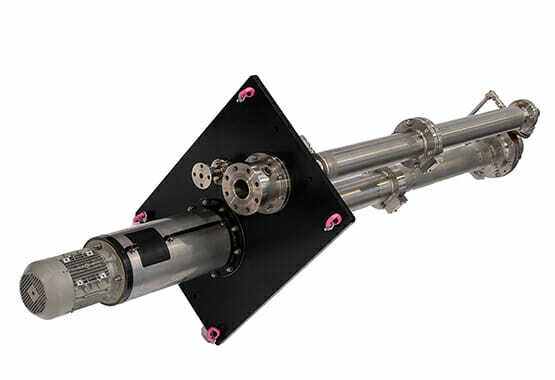 Other features include eliminating temperature variants across the pump by using full length steam jacketing on the columns and discharge pipe work, along with including internal components specially designed to reduce the retention of liquid sulphur when the pump is removed for maintenance, where any residual sulphur begins to solidify around these components adding further time to the maintenance task. 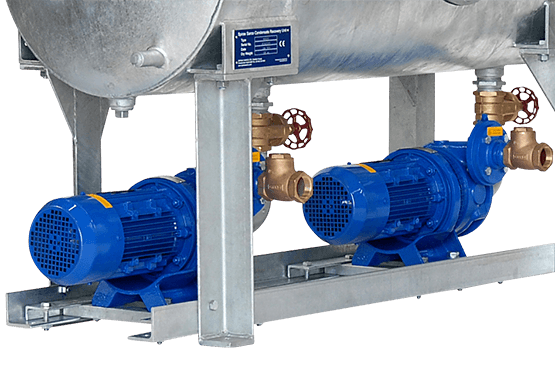 The pumps can be fitted with a variety of proprietary components, i.e. 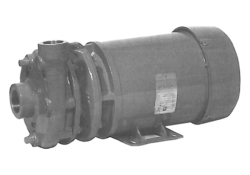 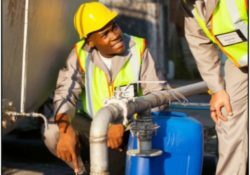 seals (including gas running), motors (IEC and NEMA) and couplings from all the major manufacturers to cater for customers site preferences. 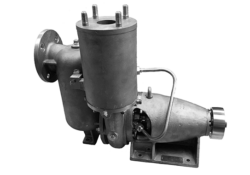 Double mechanical seal arrangements can be fitted with a seal support system attached. 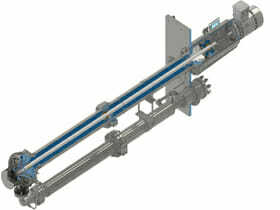 This can be supplied by any one of the major manufacturer's system's. 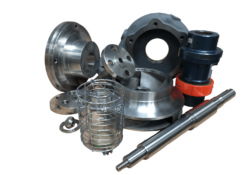 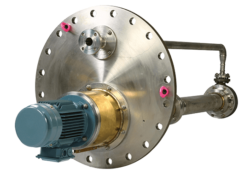 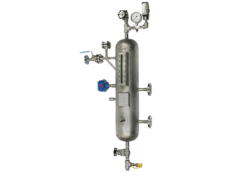 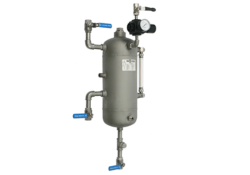 To complete the package a full range of standard material options from Carbon Steel and stainless steel, to Super duplex are available to match your process fluid. 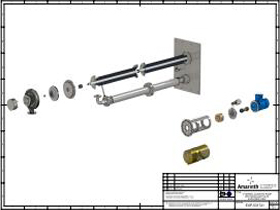 NACE compliant and other materials are also available. 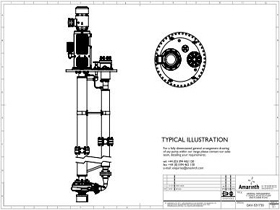 Standard documentation packs including manufacturing data books, material certification, installation and operating manuals are available to suit the application. 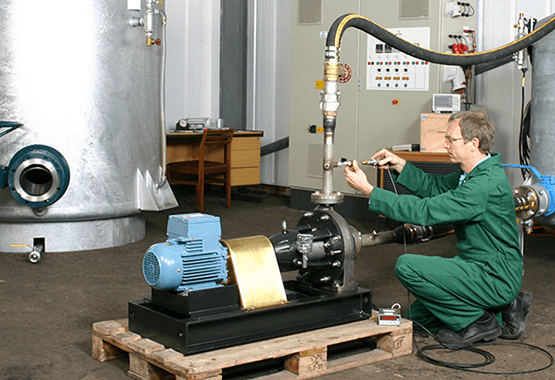 Performance testing to API 610 / ISO 13709 and various NDE (non destructive examination) and NDT (non destructive testing) options are offered to ensure full compliance to our customer's specifications. 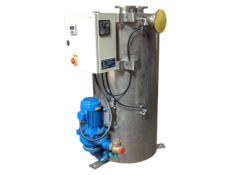 Alternative bespoke packages can be tailored to fit your exact requirements. 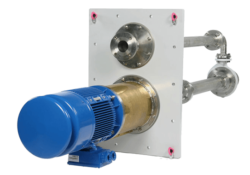 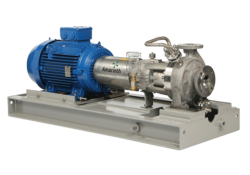 Amarinth VS4 Sulphur pumps can be fitted with fixed or variable speed drivers from any manufacturer. 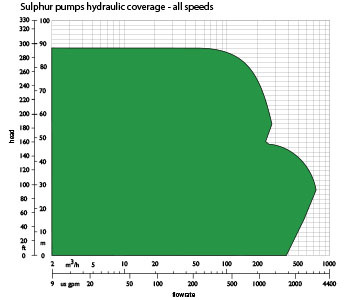 The overall B Series hydraulic coverage chart is shown on the left. 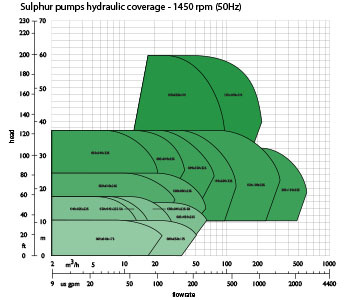 More detailed hydrualic coverage charts list individual pump designations at 4 pole speeds, though some 2 pole speeds can be offered also. 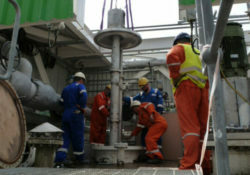 Specific duty curves will be provided with all quotations. 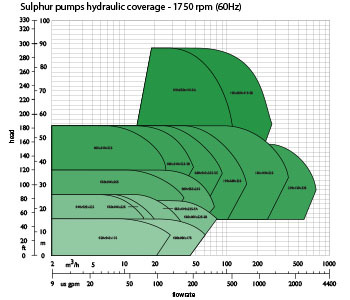 Select the hydraulic coverage chart you're interested in & then launch the relevant pdf to review the coverage charts in more detail. 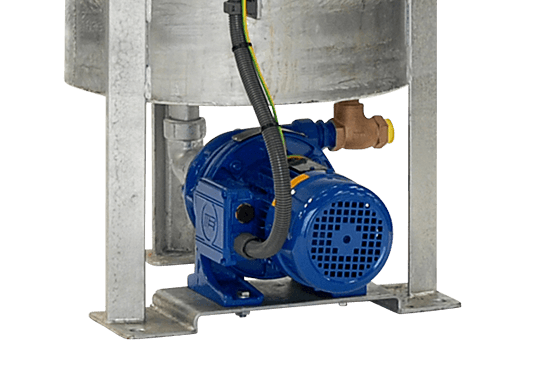 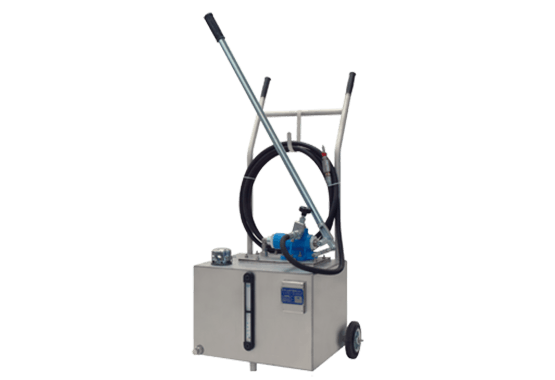 A range of API 610 VS4 vertical long shaft single stage centrifugal end suction sulphur sump pumps manufactured in a variety of alloys. 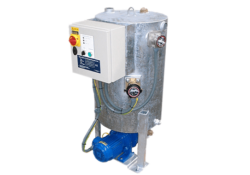 Designed to suit customer requirements with lengths available up to 6m sump depth. 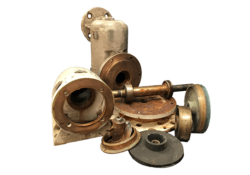 Amarinth VS4 Sulphur pumps are available in a variety of materials as standard which include the following pump / impeller combinations.